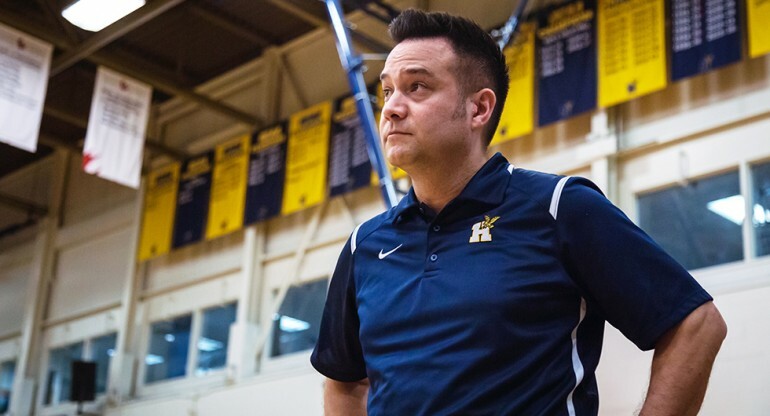 Humber’s men’s basketball head coach is leaving the job. Patrick Au’s resignation was announced April 10 by Humber Athletics. A statement from the college notes he is leaving after eight years for personal reasons and for commitments off the court. Au backed the team to a 15-5 regular 2017-18 season in the Ontario Colleges Athletic Association, winning silver in the provincials. He was an assistant coach for six years and was part of the coaching staff when the team won the Nationals in the 2014-15 season. He moved to the top spot in the 2016-17 season and posted a 37-13 record. Before his resignation, Au spoke to Et Cetera saying he was happy with the team’s offensive prowess and said the Hawks must focus on improving defence next season in order to better compete for the National championship. He said the Hawks will look to their young core of players to work hard this off-season. Rookie point guard Fowzi Mohamoud intends on doing that, saying his plan this off-season is to train hard and get ready for what comes next. The experience at nationals has left a lasting drive for Mohamoud who says he has learned a lot about himself through the experience. The team is hopeful to reach beyond a silver next year. They were ranked within the top three for most of the season and took silver in the OCAA finals. That medal qualified them for the Nationals but didn’t get close to achieving the team’s goal of a win at the Nationals. Not winning the Nationals, however, wasn’t all bad. In the long run, the adventure will strengthen the team. The Hawks fielded a young team this season, but it gained a wealth of experience that should benefit the roster next season. The 2017-18 season ended with a slew of strong personal efforts, including point guard Jordan Rose who was league tops in three-pointers percentage at 45.1, guard Curwin Elvis with an OCAA leading field goal percentage of 59.7, and with forwards Kenny Ejim and C.J. Bennett netting 398 and 319 total points respectively.